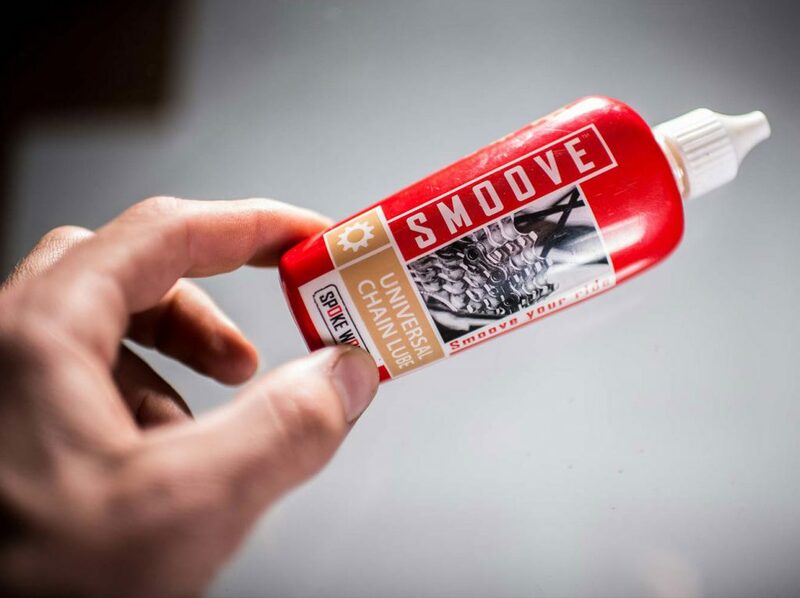 SMOOVE – your new favourite chain lube. SMOOVE™ UNIVERSAL CHAIN LUBE is a long lasting lubricant formulated to withstand even the most demanding conditions. Wet or dry? SMOOVE™ is extremely durable and one application lasts a whole ride, effectively protecting your mechanical drive train components from wear and tear. SMOOVE™ also reduces friction, enabling you to unlock optimal performances. SMOOVE™ is self-cleansing, 100% biodegradable and solvent free. This stuff is better than Frank’s Red Hot and I put that sh*t on everything! I have tried all of the lubes out there. This is the easiest and cleanest one I have used. I degreased my drivetrain from DK200 and applied some SMOOVE... it sounded like new. I wish that I had some on during the DK200. I will in 2018! I used Smoove in all races and conditions this year. The major test came at the Cape Epic, 8 days in some of the harshest conditions, even 1 properly muddy day. Almost 400 hours and 11000km since January. Best lube out there by far!